This week there is no PGA Tour event, however there are events in the European Tour, LPGA and Champions Tour. The European Tour has the Italian Open this week. Course history is not really a factor unfortunately. This course was last used for the Italna Open in the early 90s and then last year. So there’s not too much we can go on there. The GC Milano isn’t anything special though in terms of courses so there’s nothing too tricky to try and factor in which is nice. Francesco Molinari: Is it a shocker that the Italian is usually pretty darn good on the Italian Open? No matter where it’s held he’s had a lot of respectful finishes. Unfortunately Molinari is coming into this one on a but of a poor run including a cut at the Barclays. However he has shown his ability on this course before. Last year he was able to lead after the first day by shooting a 65, and a par on the 2nd round was his worst day. I’m not fully confident on him and at 25/1 he’s not that much of a deal either. I’m recommending a half unit bet on a Top 20 Finish for Molinari. I just can’t see him doing anything better than that. 11/10 odds for that one. Matthew Fitzpatrick: Coming into this with some excellent form, I’m happy to back Fitzpatrick here. He struggled a bit in the first round last year but still shot a -2 and he got consistently better as the tournament went on and really got to grips with the course. To win and E/W, half a unit. Last Years Top 5: With only one tournament held here so far, we’re not too sure just how big a factor course form can be. We’ve all seen it before – golfers who only seem to perform at one course but do so really well. Based on that I think it’s wise to look at last years top 5 and pick a few higher odds players and throw a bet on them to win and E/W. Now last year we actually saw 9 people who ended up 5th or better with 7 players sharing 3rd. 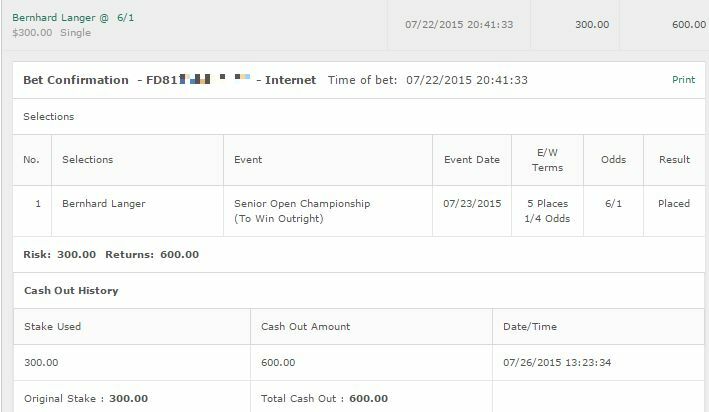 I’m going to be betting Rikard Karlberg who played consistent 67s and win the tournament at 66/1. I’m also on Lucas Bjerregaard who is 90/1. I’m a bit concerned because his form was in 2 rounds more than anything else as he shot a 66-65 but rewatching it I liked the way he played and think he could recapture that early tournament form. I’m surprised Joakim Lagergren is priced so highly. The Swede just had that nice 5th place finish at the Made in Denmark and a top 20 finish at the KLM Open. Yeah he struggled at the European Masters but I still think he can be a contender. Odds wise, the other potential picks are either David Lipsky or Fabrizio Zanotti. I’m actually going to place quarter unit bets on both of them to win and E/W. 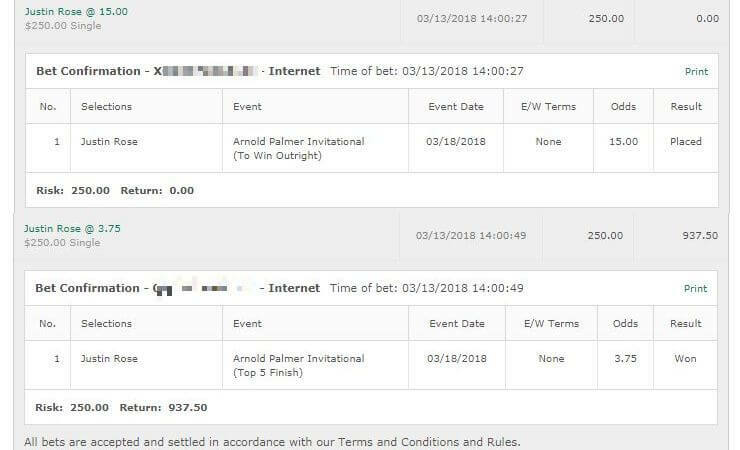 I haven’t bet much on LPGA this year. Looking at it this week I’m thinking Mi Hyang Lee is worth a bet. She’s coming in strong and performed well here in the past. Her only issue is she can have really erratic form. I’m backing her a quarter unit to win and E/W and just have to hope she can remain consistent. 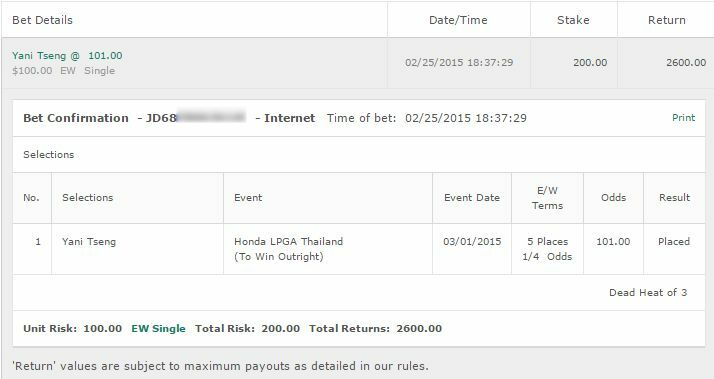 That’s the only bet in the LPGA.